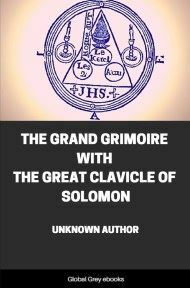 Subtitled, 'The Secret Tradition in Goëtia, including the rites and mysteries of Goëtic theurgy, sorcery and infernal necromancy', this 1913 book explores the procedures of all of the famous Grimoires, including the Key of Solomon, the Grimorium Verum, the apocryphal Fourth Book of Cornelius Agrippa and the Black Pullet. 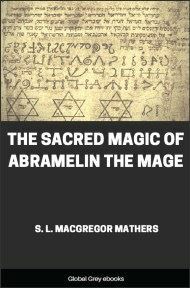 It includes the rituals of ceremonial magic, the literature, the rituals of black magic and the complete grimoires. 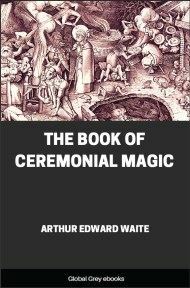 This book is the second edition of a work which was originally called The Book of Black Magic and of Pacts. THE art which is called Goëtic, being that of incantation, of sorcery, fascination and of the illusions and impostures connected therewith, has come somewhat arbitrarily to signify the last issue in diabolism of the more catholic and general art which is termed Practical Magic. The latter designation implies that there is a Magic on the theoretical side, or, as it may be, a philosophy of the subject, and this again is of two kinds: in modern days it has embodied various attempts to provide an explanation, a working hypothesis, for alleged phenomena of the past; of old it came forward with the accent of authority and carrying the warrants of a peculiar and secret knowledge; it taught rather than explained. Behind this, in virtue of a specific assumption, there stood the source of such authority, the school or schools that issued, so to speak, the certificates of title which the records of the expounding master are supposed to shew that he possessed. Herein resided presumably that Higher Magic which justified the original meaning of the term Magic; this was the science of wisdom, and of that wisdom which was the issue of experience and knowledge particular to sacred sanctuaries in the years of the Magi. In this manner a remote and abstract magnificence has been allocated to the practical work; but between this aspect as we know it otherwise and that dream as it has been dilated in the forms of its expression there is the kind of relation which subsists between renown and its non-fulfilment. 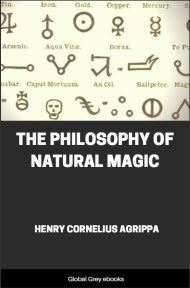 If Magic in its proper and original meaning be synonymous with wisdom; if that wisdom, by virtue of this assumption which I have mentioned, were something inconceivably great, it is of certitude that it had no causal connection with the congeries of arts and processes which are understood by Practical Magic. That there was, as there still is, a science of the old sanctuaries, I am certain as a mystic; that this science issued in that experience which imparts wisdom I am also certain; but it did not correspond to any of the arts and processes to which I refer here, nor to anything which can be received by the mind as the result of their exaltation. The consideration of a possibility thus already condemned is therefore ruled out of the inquiry which I have attempted in the present work. I have also ruled out, as it will be seen, the distinctions which have subsisted between the good and evil side of the arts and processes, not that it does not exist on the bare surface, but because the two aspects dissolve into one another and belong one to another in the root that is common to both. The actual question before us is after what manner, if any, magical procedure draws anything from secret tradition in the past, and so enters into the general subject of such tradition, whether in Christian or anterior times. It would and could only be of tradition on its worthless side, and it will not exalt a subject which the records of centuries have shewn to be incapable of being raised; it will, however, let us know where we are. On the face of the question a tradition of all kinds of rubbish is very likely to have been handed down from antiquity, and in respect of occultism, the last drift and scattermeal has passed into the Grimoires, Keys of Solomon and other rituals innumerable by which Art Magic has passed into written record. As this book represents, under a new title and with many additions, a work which was issued originally in 1898, I have accepted the opportunity to indicate its position in respect of far more important works embodying my construction of the Secret Tradition in Christian Times. I have secured this object--which after all is clear and simple--not by a regrettable comparison of what I have written there with that which appears in the present place, but by shewing in a brief introduction the proper sense in which phenomenal occultism and all its arts indifferently connect with the tradition of the mystics: they are the path of illusion by which the psychic nature of man enters that other path which goes down into the abyss. The book in its present revision remains of necessity a presentation of old texts by the way of digest; I have added some new sections that in this department it may be rendered more representative, and if a touch of fantasy, which is not wholly apart from seriousness, will be pardoned here at the inception, the work itself is now an appendix to the introductory thesis--the textual, historical and other evidence by which it is supported. In the year 1889 an expositor of the more arid and unprofitable side of Kabalistic doctrine edited in English a text of Ceremonial Magic, entitled Clavicula Salomonis, or, the Key of Solomon the King. In an introduction prefixed to the work he stated that he saw no reason to doubt, and therefore presumably accepted, the tradition of its authorship, which in respect of the critical sense may be taken to summarise his qualifications for a mentor stultorum. 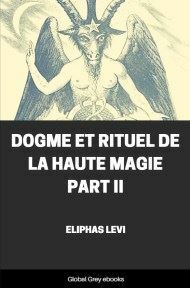 It should be added, as an additional light, that he undertook his translation more especially for the use of occult students, that is to say, for those persons who believe in the efficacy of magical rites and may, as an illustration of their faith, desire to put them in practice. With this exception, the large body of literature which treats of Theurgic Ceremonial in its various branches has remained inaccessible to the generality of readers, in rare printed books and rarer manuscripts, in both cases mostly in foreign languages. There is probably a considerable class outside occult students to whom a systematic account of magical procedure may be not unwelcome, perhaps mainly as a curiosity of old-world credulity, but also as a contribution of some value to certain side issues of historical research; these, however, an edition for occult students would deter rather than attract. In the present work several interests have been as far as possible considered. The subject is approached from the bibliographical and critical standpoints, and all sources of information which many years of inquiry have made known to the writer have been consulted to render it complete.